Teacher’s Pet has an amazing team of passionate, enthusiastic Field Trip Presenters who work tirelessly to ensure that your students receive the best experience possible. Meghan has been with Teacher’s Pet since 2014. She wears many hats such as the pirate Peg Leg Meg, Meghan from Meteghan, and Raven the Arctic Explorer. She always fully embraces her character to create an enjoyable learning environment. 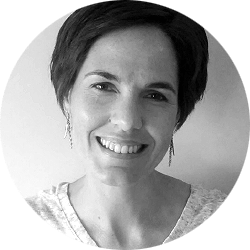 Meghan has taught on four continents and every age level from preschool to year 13! She will bring her love for new experiences into your classroom to lead your students on a journey of experiential learning. Always ready to accommodate the needs of your class she promises to provide you with a fun and caring learning experience. A.K.A. “Tiana the Terrible”, “Super T”, “Canadiana Tiana”, “Misty Mockracy” and “Tri-colour Tiana” among others! When Tiana comes into the classroom she will inspire your students to learn in a fun, engaging and exciting fashion. Her love and enthusiasm for teaching is apparent in the energy and positivity that she brings into each classroom. Tiana’s versatile teaching style allows her to present a wide range of field trip topics, more than any other presenter at Teacher’s Pet! Your students will be captivated by her many personas and eager for the next field trip. Often mistaken for Bill Nye, this science guy is excited to bring enthusiasm and adventure to the Teacher's Pet programs. After 18 years of teaching, Gary took a break to pursue business interests. Now he is back in the classroom. He hopes to engage students and make learning interactive and fun. He can be found doing Boats and Bouyancy, Catapults, Building Playgrounds, Light and Shadows, Plants, Acadia, Iroquois Confederacy, Tunisa, Communities in the World, A Prairie Community, and Small Crawling and Flying Animals. I am looking forward to being part of the Teacher’s Pet Team. I have worked in schools for about 13 years as a Family School Liaison Worker. Having the opportunity to be in numerous schools will be an exciting adventure to explore with students, parents and teachers. The hands-on programs that are curriculum based is a great experience and a fun way to learn. Karen A.K.A. Zookeeper Kay, Magnetic Mary, Pirate Kay, as well as other characters. She has been a teacher for more than 5 years. Karen has also been a tutor with Teacher’sPet in the past. Karen believes in making learning interactive and fun for all students. She will bring excitement and enthusiasm for your students in whichever field trip she is presenting. Lizelle graduated from the University of Alberta in the year of 2006. She has obtained her degree in Elementary Education with a minor in Special Education. She truly values the degree that has been rewarded to her, as she feels that it is her key into being a crucial part of society. She believes that it is her responsibility as an educator to facilitate the learning of children, but above all, to inspire them. In the winter of 2007, she moved to London, England and lived there for 2 years. It is in London where she started off her teaching career. With her family being back in Canada, she moved back home to be with them. Lizelle feels that being in London was an amazing experience which helped her evolve both as an educator and as a human being. Upon her return to Canada, Lizelle taught in various teaching environments. Shortly after, she got married and is now the mother of two beautiful children. 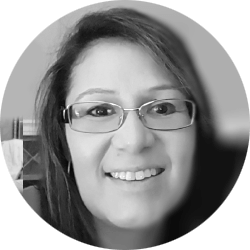 At current, Lizelle is loving all the challenges that are presented to her every day and all the adventures that she is venturing on with the children that she gets to work with. Lizelle is a traveler at heart and she is so grateful to have reached many countries of this world. She has travelled to places like Greece, Australia, Europe, and Asia, just to name a few. She carries a huge fascination for cultural diversity and it is her hopes to explore the world around us with the children. Welcome Michelle to our teaching team. Michelle grew up on the family farm in a small town in Alberta and learned from a very young age the concept of hard work. Michelle was a Teacher Assistant for 3 years before she went to University to become an Elementary Teacher. She graduated at the University of Alberta. The choice to be a Substitute Teacher for a period of time was her goal which she accomplished upon completion from University. Then Michelle decided to grow her family, with three children, which she then stayed home to raise. As each child went off to school, Michelle consistently volunteered at a couple schools. Staying connected with the classroom was a joy for her. While parent volunteering once, at a TPET in school field trip, she realized the impact this teaching approach had on children. This interest encouraged her to go back to teaching but through a different extension of the curriculum. The ``fun in play`` side of learning. Michelle resides in Sherwood Park and she is super excited to be back in the classroom and waiting to share her passion of learning with your students! I am so excited to be joining the Teacher’s Pet Team! I have always loved learning new things, and I love to see children light up with a newly learned skill or discovery. I have 2 amazing children, and when they started kindergarten, I became a full-time classroom volunteer, spending hours assisting the teachers and students in whatever way was needed. I loved every minute! After 6 years, I became my kids’ full-time teacher at home, guiding their learning and interests, providing them with many out-of-the-box educational experiences and exciting adventures, all the while ensuring curriculum outcomes were reached. As their need for Mom to formally teach, coach, and guide them has decreased, Teacher’s Pet has given me the opportunity to continue sharing my love of learning! I am looking forward to getting back into the classroom to encourage curiosity, to watch the excitement of children discovering something new, or to fuel an already present passion. Learning is such a fun adventure! In my life before kids, I trained as a massage therapist and managed a bustling doctor’s office. In my spare time, I love travelling and exploring new places with my family, hiking, biking, kayaking...basically just being active together as a family! We share our home with our dog, a Miniature Schnauzer, Charlie, who thinks he rules the roost! A.K.A. “Lucky Locke”, “Indiana Jane”, “Dr. I.M. Tuloud”, Primary Patty and “Magnetic Mary”. Arrr, Matey! You best be watching out for pirates when Angie comes to visit your classroom! Students are mesmerized by Angie’s characters, regardless of the field trip that she presents. She transforms classrooms into pirate ships, geological sites, laboratories and more. Students learn key concepts while being fully engaged in curriculum activities. Angie has been involved with Teacher's Pet right from the beginning and her vast teaching experience is evident in the field trips that she has developed. These include Buoyancy and Boats, Rocks and Minerals, Senses, Small Crawling and Flying Animals and Life Cycles. Angie is a key member of our team who strives to continuously expand and improve our existing science field trips. Cornelia is excited to get back into the classroom after a number of years in corporate. She has experience teaching 2-16 year olds, as well as adults. Her passion for teaching has followed her all the way from South Africa, and she has fallen in love with Edmonton and its beautiful people. She is looking forward to being part of an educational system which creates life-long learners through imagination, curiosity and fun! With 3 boys of her own, she enjoys viewing the world through children's eyes and going on explorative journeys with them daily. She will now be bringing all her experience and enthusiasm to your classroom! Jillian is excited to bring her love for learning and adventure to the Teachers Pet team. Jillian graduated from Concordia University of Edmonton with a Bachelor of Arts degree in History, followed by a degree in Elementary Education from the University of Alberta. She spent 3 years teaching grade two when she made the decision to stay home and raise her two children. In her spare time she loves to paint, read and travel with her family and loves to learn about new cultures and places. After many years of volunteering in the classroom Jillian is happy to once again be taking on an instructional role. She is looking forward to engaging the students in fun and creative ways as a Teachers Pet presenter. 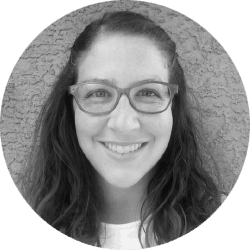 As a passionate educator for the past decade, Natasha believes in the power of experiential learning and making learning meaningful. She builds creativity and brings boundless energy into all her learning spaces ensuring all her students are challenged and excited to learn. 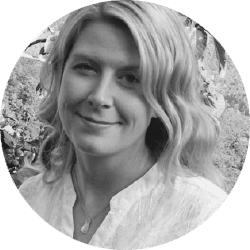 Over the years, Natasha has worked with children from 6 months old to 12 years old and has tutored in many subject areas. She has two beautiful children who keep her life full of joy, colour and noise...the good kind of course! There is always a dance party happening at their house! Natasha enjoys volunteering as a mentor to new moms who need support. She also loves to travel and has a bucket list full of adventures she’d like to take if she had a magic carpet. “Life is meant to be fun, interactive and shared!” Lorie loves to spend time with her husband of 32 years, three adult children and especially their 75 lbs sheepadoodle, Baloo! She misses her time in the classroom spent teaching children of all ages and abilities. She is thrilled to be an In-School Presenter working with Teacher’s Pet Educational Services because now she gets the best of both worlds! Lorie has a range of teaching experiences from Grade 1 to High School working in a program for students with special needs. She has a degree from the U of A in Elementary Education with a minor in Special Education. Most importantly, she is excited to support, enrich, and inspire new children with energy, enthusiasm and exceptional programs! Lorie will bring a ton of fun and exciting adventures to your students so get ready for your classroom to come alive! Kathleen is excited to be joining the teaching team at TPet. As a mother of two, she is happy to shift her focus from home to classroom. Kathleen has always had a flair for the dramatic. She loves the excitement and fun of teaching in-school fieldtrips. 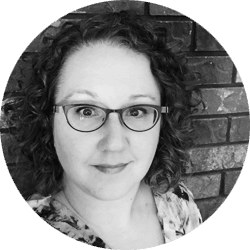 With a degree in Elementary Education from the University of Alberta, she works mostly with primary students. She believes stepping into character to take children on an interactive adventure inspires them to become confident learners. Kathleen can’t wait to bring the adventure to your classroom! A graduate of the U of A, Kelly started her career teaching grade 5, and moved on to working with learning disabled children for 11 years. She took a break from classroom teaching to raise her 3 boys and become a “hockey mom” while running a successful tutoring business from her home. Kelly has a love of water! She has had the pleasure to spend the last four years teaching babies and toddlers to swim. Her passion as a synchronized swimmer has spanned over the last 25 years and she continues to synchro swim at the Masters’ level and has had the opportunity to introduce little ones to the sport. She is very excited to be joining the TPet team and is looking forward to being back in the classroom to share creative and fun experiences with the children, teachers and parents! Carena aims to bring the full potential of an engaging, hands on field trip to your classroom! She will share her enthusiasm for learning by encouraging students’ curiosity and facilitating a deeper understanding of the presentation topic. Previously, Carena taught grades 4 and 6 in Edmonton and spent a couple years teaching in the unique location of Kalgoorlie, Australia. Recently, Carena has been racking up years of mom experience including many hours volunteering in her children’s classrooms and school, even helping out with awesome Teacher’s Pet field trips! 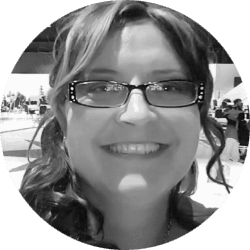 Jaime graduated from the University of Alberta in 2001 and has experience teaching pre-school to grade 9 with 3 years spent with an Educational Publishing Company which allowed her expand her knowledge of Alberta Curriculum but she missed the hands on of the classroom. She has a passion for travel and loves to share countries and cultures with her 3 children. Her passion for knowledge and adventure translates easily to the classroom. She loves getting the students engaged in their learning by getting into character such as Bugsy P.I, Super Jaime and The Zookeeper. The hands on nature of each presentation is getting the students involved in their learning which is something Jaime strongly believes in. Encouraging students to problem solve throughout presentations comes naturally to her. Jaime easily adapts to the diversity of each classroom while demonstrating patience, kindness and enthusiasm during each field trip. Be ready for a fun and creative learning journey when Jaime spends time in your classroom! Katherine has been to the far north, the far seas and the farthest reaches of that most exotic of places - Edmonton! She has 9 years teaching experience with a variety of grades, and she really enjoys working with students and bringing out their potential. She believes that imagination plays an important role in the education of children. Her enthusiasm and energy helps students get totally immersed in the field trip experience; she is always ready to help your class learn something new. Angie is excited to be joining the TPET team. Through being a parent volunteer for many TPET field trips she likes how concepts were presented and loved seeing how intrigued the kids were! Now she gets to be a Presenter! 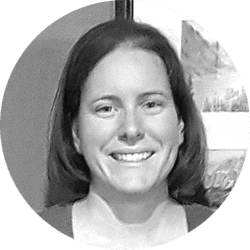 Originally from the NWT and being in Forest Management, Angie has travelled throughout the north in planes, helicopters, boats, trucks, quads, and by foot doing field work. Teaching and training people, both kids and adults, has always given her enjoyment while watching their faces light up with understanding. Angie is looking forward to bringing a smile to the classroom! Patti is new to the Teacher’s Pet team, joining this amazing group in 2018. She earned her Bachelor of Education from the University of Alberta and her Master of Education from Endicott College. 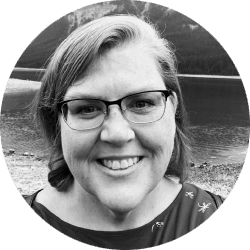 Patti has over 10 years of experience in a variety of education settings, including work as a private tutor, a Public Education Advisor for The City of Calgary, and a high school math teacher. She also volunteers as a soccer coach and Sparks Guider. Patti’s enthusiasm and passion for learning are contagious! Whether digging to find minerals or fossils, working to defeat the evil Dr. Wasteful, or designing and building the ultimate playground, she looks forward to engaging students with a wide range of hands on activities, exploration and investigation. As a new presenter for the 2018/19 school year Crystal is incredibly excited about getting to meet and teach many different students. 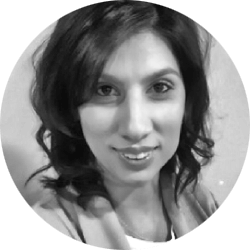 Crystal has an educational background in Commerce from McGill University, and spent several years working in the banking and financial services industry, but her love of teaching kept fighting to escape. She has combined her love of learning and the sharing of knowledge in many different formats, including: Scout leadership; writing children’s and parenting literature; coaching youth soccer and baseball; church youth ministry; and the very best job of all - being a mom to two terrific kids. 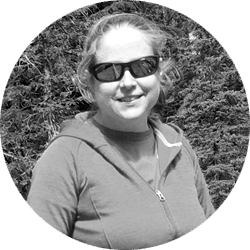 In addition to her passion for working with and teaching children, Crystal loves travel and working with the blindness community which she gets to do when she assists her husband in his role as Vice President of the International Blind Sports Association. Crystal is also known for her passion for reading and for her Portuguese Water Dog, Tori, who she thinks looks like one of Jim Henson’s Muppets. AKA. 'Scurvy Al', 'Snorkel Dude', and 'Sir Al' amongst others. Before retiring, Alastair taught drama and science at a number of junior high schools in Calgary for 30 years. He also taught science in Medellin, Colombia for 2 years. Alastair has never lost his love of teaching and interacting with students. Teacher's Pet is an ideal occupation in which to use his vast experience and love of the dramatic. He especially enjoys putting on costumes and getting into character. In his spare time Alastair loves fishing, hiking, canoeing, snowshoeing and skiing. As a Scout Leader Alastair is able to pass on his love of the outdoors to the younger generation. Sally obtained her Bachelor of Arts and Bachelor of Education in the United States. She has a wide range of experiences in the K-8 classroom. She has coached High School volleyball as well as had opportunities to work in classrooms in three different countries. Sally hopes to inspire students to always ask questions and discover new learning for themselves. One of Sally’s passions is Art History. Previously, she designed an Art History program for after school care programs across Calgary. She believes that everyone is an artist and creativity and expression is at the core of every child. While taking time away from teaching, Sally and her family lived abroad in Australia. She loves to travel, listen to music, wander through art galleries, and keep active with her family. Chris began her journey as a Teacher's Pet Presenter in 2015 and is thrilled to be back in the classroom. Teaching and interacting with children has been a lifelong passion for Chris and presenting classroom field trips allows her pass along a love for learning. Chris maintains her position as CHO (Chief Household Officer) and as mom to two boys, whom she supports as they do martial arts, skiing and junior dragster racing. She loves a good book, an intense workout and creating cards or scrapbook pages. Chris has a Bachelor of Education with a Special Education minor from the University of Alberta. Her work as a classroom teacher has taken her from southern California to the Grande Prairie Young Offenders' Centre, to the CBE. Working with a variety of students and meeting various learning needs has been a focus throughout her teaching career. Kimberley is in her second year as Teacher's Pet presenter and is just loving her job as she takes on roles such as Conductor Kimberley, Professor Light'n Shadow, Kimberley - Certified Extreme Explorer or Dr. Green! Actually, Kimberley enjoys anytime she gets to wear a costume and transform into a fun and wacky character. Kimberley is a mother to 3 girls whom have kept her very busy the past 16 years. In her free time (hah!!) she loves to participate in ``fun runs`` (costumes a must! ), practice yoga and whenever she gets the chance - to sing karaoke! Kimberley graduated with a Bachelor of Education from the University of Calgary in 1993. She has worked as a classroom teacher for the Calgary Board of Education, a volunteer tutor for the Calgary Reads program and has served her community for a number of years as a Guiding leader and an executive member of her daughters' school councils. Miche has recently joined the TPET family after 33 years of teaching in French Immersion. Her expertise in Division 1 is extensive. She taught every grade from Kindergarten to Grade 3 and saw children blossom in their 2nd language setting. Singing, doing art, and teaching Language Arts, sciences and math were her passions in the classroom. Miche has always believed in hands-on learning. Centres were an integral part of her program, regardless of the Grade she taught. Teaching French has allowed her to share her culture and First language with her students, as she is a born and raised French Canadian. She has a lot of energy and has learned to ``talk with her hands and body`` over the years. Miche's strength is in connecting with children. She is sure to draw your students into the program and will keep them entertained and engaged throughout. She loves acting and pretending, bringing children in imaginary worlds with her. She is sure to leave everyone smiling! Joan has been with Teacher’s Pet since its inception in Calgary. Her dramatic flair and sense of humour are sure to have you smiling. She is a very experienced teacher, having spent many years in the classroom, and has a vast knowledge of the Alberta curriculum. Joan has specialized expertise in the areas of Science, Art and Music. 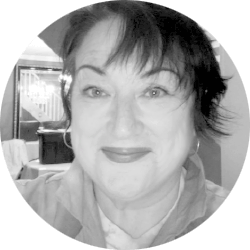 Her love of children and learning is easy to see and Joan’s infectious energy and enthusiasm will have your students actively engaged as she leads them on an unforgettable learning adventure. and passion is evident to all that meet her. Half Marathon race and helps bring awareness for young women facing breast cancer. teenage boys keep her young at heart. Donna graduated from the University of Manitoba with honours in 1999. 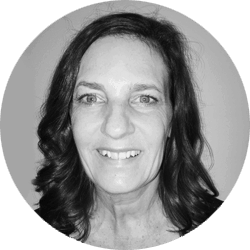 Donna specializes in early childhood education and has a passion for engaging students in their learning. Some of her favourite units are Inuit and Acadia where she takes on the roll of an 'Extreme Explorer' who navigates through the Arctic, or watch her don a bonnet and apron and transform your classroom into an Acadian settlement. Melody R (known to every child in her life as ‘Auntie Mel’) is an animated and enthusiastic addition to the Teacher’s Pet team. After graduating from the U of C, she helped youth with disabilities find their path in the world—from learning to read to help them find their first job. Her own path led her to live and work in (what she calls) downright fascinating places in the world, in no fewer than four continents. She has worked with an NGO in South Africa, the United Nations in London, for the House of Commons in Ottawa, and even in her childhood home of Malaysia. There, she worked the Department of Education, demonstrating and teaching student-centred methodology to K-6 teachers. She’s also a writer, a dog-lover, and gardener. And, in terms of helping things grow, Melody’s enthusiasm for inquiry and creativity is reflected in our Field Trips with her top-notch, second-to-none, favourite kind of people—kids! Judy is new to Teacher’s Pet, joining the dynamic team in January 2018. Whether playing the role of Jolly Judy the Pirate (Boats & Buoyancy), Professor Rainbow (Light & Shadow) or Judy Adventure (Peru), her enthusiastic style is sure to bring the joy of learning to your classroom. Over the past 15 years, Judy has taught in a variety of educational settings. Starting with 6 years as a junior high teacher in Calgary, she explored her love of learning with students in her science laboratory. More recently, Judy has created hands on learning activities and engaging experiments as an elementary and preschool teacher in the Calgary area. Now, Judy is looking forward to connecting with your students through the unique educational experiences offered with Teacher’s Pet. Sheryl is thrilled to be joining the Teacher’s Pet team. She has seen presenters in action when she was a classroom teacher and always thought being a T-Pet presenter would be an awesome job! Well, let the awesomeness begin! Sheryl graduated from the University of Alberta with a major in Physical Education and a minor in Mathematics. She began her teaching career in 1993 as a Physical Education specialist in the High School and Junior High setting. As much as she enjoyed many years teaching the older kids, she changed gears and spent several years getting down and goofy teaching preschool classes. As her own kids got older, she entered back into school classrooms on a part time basis. 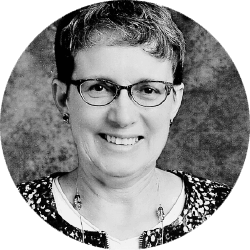 For four years as an Elementary/Junior High Guest Teacher with the Calgary Catholic School Board, Sheryl absolutely loved the experience and knowledge each opportunity provided her. Her friendly smile, genuine kindness, patience, and her sense of humor help her to build rapport with all the students she teaches. Whether teaching Junior High or Elementary aged students, Sheryl believes that making each lesson meaningful and sprinkling in some fun are the keys to student learning. There’s always a story to be shared, movement to be had or a little diddy to be sung! Being a mom to four amazing kids and working with children are definitely her passions! Sheryl looks forward to embarking on a new adventure every time she enters the classroom as a T-Pet presenter!! What a great way to continue working with fantastic teachers and amazing students! 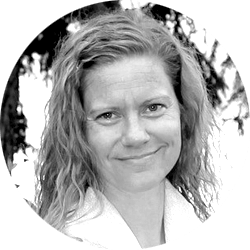 Twila is a graduate of the University of Calgary with a degree in anthropology and a teaching degree specializing in social studies. Prior to her nine year teaching career in Calgary, Twila spent one year teaching English to students in grades four to nine in the Czech Republic. Twila believes she has the best teaching job in the world-being an in-school field trip presenter! She loves seeing smiles on students faces as they engaged in the material of Teacher’s Pet field trips. Twila’s interest and enthusiasm for science, health and social studies will come through as she strives to present memorable field trip experiences for all students. Away from the classroom, Twila is a Girl Guide leader and an avid traveler whose goal is to visit each of the 7 continents!